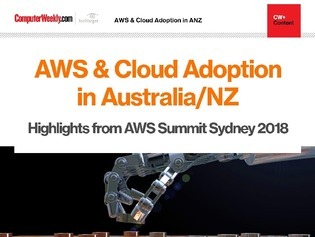 From Amazon’s vision of an ideal robot to inspirational tales on how the cloud has helped organisations defy the odds, the annual Amazon Web Services (AWS) Summit in Sydney is a true reflection of the state of cloud adoption in Australia. Not only has the country embraced the cloud wholeheartedly, it is also making a mark in the industry through the likes of Glenn Gore, a Melbourne native who serves as AWS’s chief architect. Also making waves was 15-year old Sam Aubin who showed off his SharkMate app that protects both surfers and sharks, as well as an agri-tech startup that invented an application to improve the lot of farmers. Read more highlights inside this e-guide.